Duvet or Comforter, What’s the Difference? As we get ready for winter weather, we start thinking about cozy warm bedding for ourselves and our family. But you may be asking yourself, what’s a duvet? Do I need a duvet cover? Or maybe a comforter would be better. Are they the same? If you’re shopping for bedding it’s a good idea to understand the difference. In most cases, you’ll want to use a duvet cover with your duvet. You can wash the cover, and it allows you to include color in the room’s look since most duvets actually come in plain white or beige. With a colored, embroidered or patterned duvet cover, you can match a bedroom’s décor. Duvets are made to be used without a top or flat sheet, or blankets/quilts. This is why you want to make certain your duvet cover is washable. Jacaranda Living sells a beautiful line of simple, elegant duvet covers to match any décor. Another added benefit to duvets is that you can use them without sheets. Without sheets to worry about, making the bed is so much easier! Perfect for a child’s room, and wonderful for a guest room too, since when your guests leave, you just have the duvet cover to wash up. So Why Use a Comforter? Comforters are sometimes less expensive, usually come in patterns and multi-color without embroidery. They are filled with layers of insulating material (polyester batting is common in the less expensive ones), or down feathers, wool or silk. Comforters are always stitched to secure the filling, unlike duvets which can sometimes be just a loose sack of feathers. Comforters also fill double duty, acting as both a bedspread and something to keep you warm, so no need for an additional bedspread on top of a comforter. A nice lower loft (thickness) comforter is a great option for a guest room. It’s easy to add when a guest is cold, but remove if the weather warms up or you have a guest who doesn’t want that extra warmth. It’s easy to throw on or off the bed, and a simple way to also change up the look of a room since many comforters are reversible. While We’re at It, What About Quilts and Coverlets? Quilts are made of three layers of fiber/fabric: a cloth top, a layer of batting, and a woven cloth back. All three pieces are stitched together using decorative designs, and patterns, and sometimes embroidery is also used to add a personalized touch. Most quilts are also made of multiple pieces of cloth, all different designs, either placed together randomly (a crazy quilt), or using very specific color schemes, patterns, and designs. Today quilts are also used as wall hangings or to commemorate a special occasion, with wedding guests signing a quilt being given as a wedding gift, or family and friends signing a quilt being given to a high school graduate as a gift to take with them for their first year of college. Looking for new quilt block patterns? 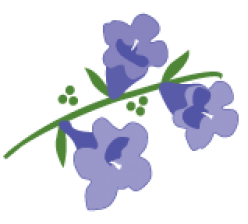 Try JinnyBeyer.com for free block pattern downloads. A coverlet is more like a bedspread. The difference here, according to Cuddledown, is the actual size of the piece. “A bedspread is usually designed to cover the entire bed, up over the pillows, and down to the floor. Whereas a coverlet is smaller, designed to just cover the top of the bed and barely past the box springs, and is accompanied by matching decorative pillow shams and often a bed skirt.” Jacaranda offers a range of embroidered diamond pique coverlets for twin, queen and king size beds. You can choose from the starfish or scallop design in pure cotton and in beige or blue. The Choice is Yours – What Type of Bedding Do You Prefer? Today, home decor leaves decisions up to the individual. You decide whether to go with a comforter, a duvet, a blanket or all three! You may live in Florida and choose lighter weight but lofty comforters to make a bedroom look luxurious and welcoming. Or you may live in a New England home with modern linen sheets, a duvet and an antique quilt to give some character to a room. It’s up to you and your taste and desires. From modern to classic to antique to a mix of them all, whichever you choose, we wish you sweet dreams, and hope you choose bedding from Jacaranda Living. 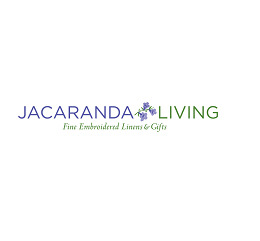 Previous Previous post: Christmas Traditions Begin with Jacaranda Living – Start Yours This Year!